Last night I had this interesting dream. I shared it with my boyfriend and my best friend, but for some reason, I feel compelled to document it here as well. Dreamtime, dreamworld: I was walking our pug, Yoda, and we wandered into a large warehouse store. I found myself among a few shelves of husband-back cushions, trying to compare prices. In wake-world, I’m nursing a hurt back, so maybe my subconscious was trying to tell me something. To get the cushion with, or without the arms? They’re all white, shouldn’t I get a cover? I was able to see the numbers and add up the figures in my head. The one without arms, with the cover, seemed like the best choice. Then I saw a woman who I just ran into the other day. In real life, I hadn’t seen her in about a year or so. In real, waking life, she was head to toe in polka dots. Her glasses were white, with black dots. Her shirt, skirt, and shoes; polka dots. Even her earrings, polka dots. So in my dream she was setting up a consignment store within this large warehouse store. She knew that I was good at making visual displays, so she asked me to display her clothes for her. As I was taking them out of the boxes I realized they were already in sets, on hangers, and all I had to do was hang them on the wall. I felt like I wasn’t able to fully express myself. Even the clothing was old, plain, and blah; 70s tan polyester. Woohoo, here’s a scarf I can hang with it to add my special touch! This solid-as-a-rock-man was so astounded that he asked me to help his friends who were in the same line of work as him. Just 10 feet away or so, were three round tables or so, of burly-type men who appeared to be playing cards or something of that sort. He sat me across from a brawny, red haired, Scottish looking fellow. As soon as I made contact with his piercing blue eyes, I couldn’t believe my eyes! He had a third eye smack in between his other two eyes! Seeing this sight shocked me with disbelief! 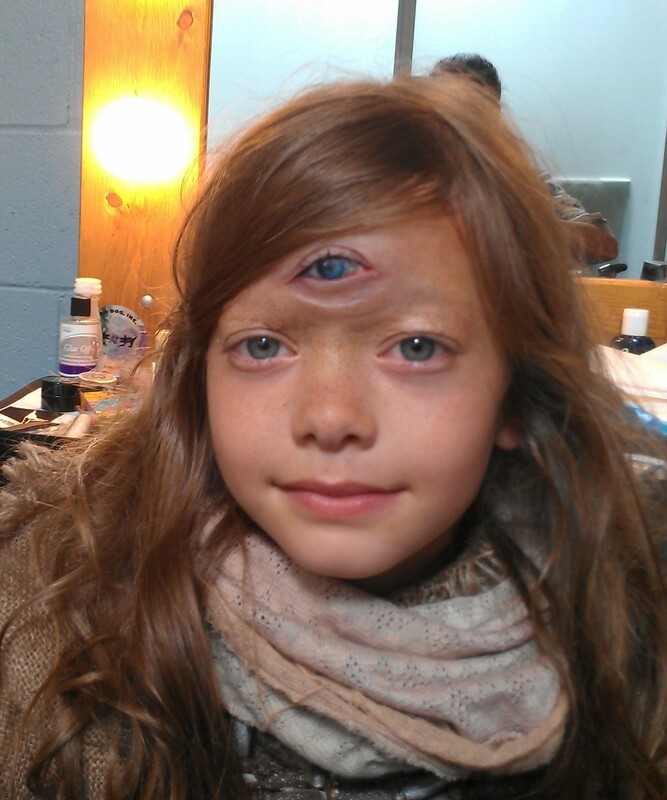 “No, it can’t be,” as I tried to stare that third eye away, but it wouldn’t go away. I looked to the table to my left, and saw the man at that table had two eyes. I looked back at the man sitting across from me, and he still had three eyes. “So you can see,” he said. Instantly, my mind went quiet and I heard a voice speaking in Latin. The voice rolled on with the cadence of a priest. So I just started reciting what I was hearing. I didn’t care how precise I was reciting, I was just trying to keep up with what I was hearing. And then the man said shockingly, “We found her!” And I woke up. You like to tell stories lol write a book.